APCO Worldwide has appointed Steven Liew, previously associate general counsel and chief government relations office for eBay Asia-Pacific, to serve as executive director for the firm's Southeast Asia operation. 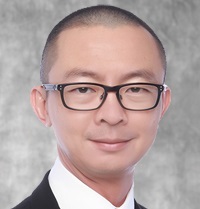 SINGAPORE: APCO Worldwide has appointed Steven Liew, previously associate general counsel and chief government relations office for eBay Asia-Pacific, to serve as executive director for the firm’s Southeast Asia operation. Liew started the role in June and is based in APCO’s Singapore office, reporting to Southeast Asia MD Garry Walsh. He is tasked with counseling the firm’s clients on media relations, corporate communications, crisis management, competitive positioning, and business strategy, according to a statement. APCO created the role to provide clients with a Pan-Asia advisory service, Liew explained. "I am trying to bring more coordination among our different offices in Asia Pacific," said Liew. "A lot of clients are increasingly asking agencies to provide them with regional and global support, so that is where I bring value to the firm." Prior to joining APCO, he worked at eBay between 2006 and April of this year, according to his LinkedIn profile. During his time at eBay, Liew provided corporate affairs and government relations support to the company’s various businesses, including PayPal, and headed the firm’s engagement with key financial regulators, an APCO statement said. Liew also developed public-private partnerships, managed multiple crises, and advocated for a "favorable" e-payments regime in the Asia-Pacific region, according to the statement. Before eBay, Liew was Louis Vuitton’s head of anti-counterfeiting in Greater China, and he also previously served as Nokia Corporation’s Asia-Pacific brand protection manager. In 1997, he cofounded Markvess Consultants Limited, a consulting firm in Hong Kong focusing on IPR protection and public policies in the Greater China region. He also served as assistant superintendent of police for the Singapore Police Force from 1999 and 2001. APCO’s global revenue dipped 1.2% in 2013. CEO Margery Kraus told PRWeek in May that she attributes the revenue drop to three international assignments totaling nearly $10 million that ended, including the launch of TV9, an independent news station in the Republic of Georgia. Stateside, the firm saw a 1.8% uptick in revenue last year. The New York office, which marks its 10-year anniversary in 2014, was a major contributor, growing about 18% in 2013. This article was updated on July 9 at 5pm ET to include comments from Liew.